Original MSRP $39,720! Locally Owned, Clean Vehicle History!, 3-Stage Heated Front Seats, Cold Weather Package, Power moonroof, Premium Package, Sport Package, Sport Steering Wheel, Sport Suspension. Titanium Silver Metallic 2006 BMW 3 Series 325i RWD 6-Speed Automatic with Steptronic 3.0L I6 DOHC SMPI Odometer is 16888 miles below market average! 21/29 City/Highway MPG Awards: * 2006 KBB.com Best Resale Value Awards Whether you are interested in learning more about our team or are ready to begin shopping with us, we invite you to visit our showroom today. Conveniently located on Manchester Road just west of Hwy 141 in Manchester, MO, our team looks forward to helping you experience new levels of affordable luxury. *See dealer for details. **Note: All sale prices and discounts listed above, include all available factory incentives, discounts and rebates. Special rates must finance through BMW Financial. These are subject to change at any time. Blue 1997 BMW Z3 2.8 RWD 5-Speed Manual 2.8L I6 Odometer is 57699 miles below market average! Whether you are interested in learning more about our team or are ready to begin shopping with us, we invite you to visit our showroom today. Conveniently located on Manchester Road just west of Hwy 141 in Manchester, MO, our team looks forward to helping you experience new levels of affordable luxury. *See dealer for details. **Note: All sale prices and discounts listed above, include all available factory incentives, discounts and rebates. Special rates must finance through BMW Financial. These are subject to change at any time. Montego Blue Metallic 2008 BMW X3 3.0si AWD 6-Speed Manual 3.0L I6 DOHC 24V Odometer is 18953 miles below market average! Awards: * 2008 KBB.com Brand Image Awards Reviews: * If you would be driving a German compact sport sedan, such as a BMW 3 Series, but want or need more utility and all-wheel-drive security, the 2008 BMW X3 is the logical choice. Source: KBB.com Whether you are interested in learning more about our team or are ready to begin shopping with us, we invite you to visit our showroom today. Conveniently located on Manchester Road just west of Hwy 141 in Manchester, MO, our team looks forward to helping you experience new levels of affordable luxury. *See dealer for details. **Note: All sale prices and discounts listed above, include all available factory incentives, discounts and rebates. Special rates must finance through BMW Financial. These are subject to change at any time. Priced below KBB Fair Purchase Price! Clean Vehicle History and well maintained! Schedule a test drive today!. Lunar Mist Metallic 2005 Toyota Camry LE FWD 5-Speed Automatic with Overdrive 2.4L I4 SMPI DOHC Awards: * 2005 KBB.com 10 Best Used Cars Under $8,000 Whether you are interested in learning more about our team or are ready to begin shopping with us, we invite you to visit our showroom today. Conveniently located on Manchester Road just west of Hwy 141 in Manchester, MO, our team looks forward to helping you experience new levels of affordable luxury. *See dealer for details. **Note: All sale prices and discounts listed above, include all available factory incentives, discounts and rebates. Special rates must finance through BMW Financial. These are subject to change at any time. Gray Metallic 2006 Kia Sportage FWD 4-Speed Automatic with Overdrive and Sportmatic The Suntrup family have been servicing and selling cars since 1957 for the St Louis area.The Suntrup Automotive Group is active in its communities and believes in giving back. Today Suntrup Automotive Group has nine brands, eleven locations, thousands of cars and is every bit committed to providing excellent customer service in every aspect of the business. 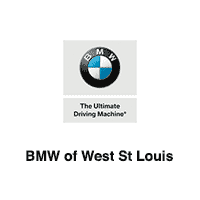 There's never been a better time to stop in our dealership at 6263 S Lindbergh Blvd St Louis, Missouri, 63123. Proudly serving drivers from Ballwin, Affton and Kirkwood. We're very much looking forward to it. 2.7L V6 DOHC 24V Odometer is 91546 miles below market average!